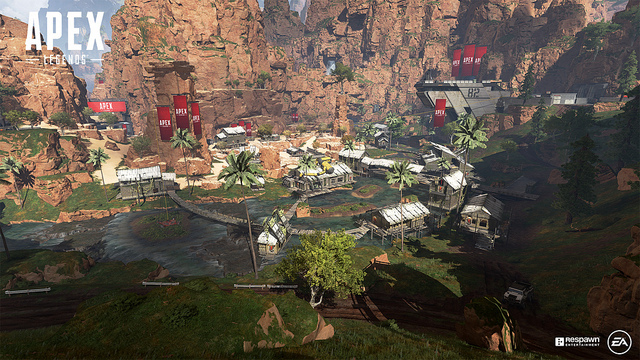 Apex Legends stirred up quite a storm earlier this week when it was leaked, announced, and released all within a matter of days. The free-to-play battle royale game from Respawn is set in the Titanfall universe, but is decidedly not Titanfall 3. Despite specifically stating that Titanfall 3 is not happening, multiple reports have indicated that Respawn does have more Titanfall up their sleeve, and a certain industry analyst believes it’s indeed Titanfall 3. If that’s not enough confirmation that there’s more Titanfall on the way, industry analyst Michael Pachter weighed in on the release of Apex Legends, EA’s acquisition of Respawn, and what it all means for Titanfall 3. On 10/30, EA said “games” were coming from Respawn. The company reiterated that meant “games, plural” and said that they were coming “later in the year” and would be clarified when they give guidance in May. Yesterday, EA called Apex a “battle royale experience.” EA appears to have carefully avoided calling Apex a “game”, although the lead producer called it one. The “denials” (in press reports) said “the world thinks we’re making Titanfall 3 and we’re not – this is what we’re making.” It seems implausible that EA would pay $450 million ($135 million earn out) for an unproven free-to-play game, and equally implausible that Respawn would risk the earn out and cancel TF3. My call is that this is carefully worded misdirection, and TF3 is still coming. If anything, the game might not be literally called Titanfall 3. Developers and publishers have loved moving away from numbers, which can segment an audience who didn’t play past games. Zampella’s quote about “experimenting in this crazy universe” may indicate that a future Titanfall game would take a different approach from the previous two—and of course, Apex Legends. Perhaps their claim that Titanfall 3 isn’t happening is true simply because of naming (and maybe style of the game), but it seems pretty certain at this point that we’ll get a third Titanfall before the year is over. For as unproven as Apex Legends is, it’s certainly garnered a lot of attention. It managed to rack up over 1 million unique users in its first eight hours, rocketing to an astounding 2.5 million by the time it had been out for a full day. Respawn has promised ongoing support for the game, and is even toying around with the idea of cross-platform play.